Multi colored autumn-inspired calico prints come together in this charming full-skirted dress, complimented with antique crocheted medallion on the front, big puff sleeves, buttons all the way down the back, flounce at hem, 100% cotton. 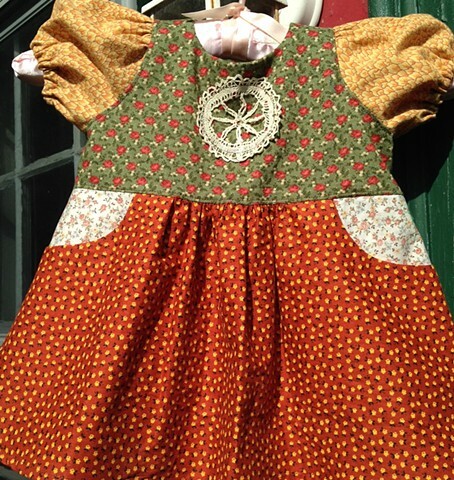 Size Toddler (1-2), 22" chest circumference, 18" shoulder-to-hem length. $90, shipped free to any address in the continental U.S.